Building Information Modelling is destined to change the way that building design and construction is conceived and implemented. It also provides a useful tool for surveyors to extract and display spatial data. Engineering Surveys are committed to keeping pace with and adopting such technology anywhere it provides a clear benefit to ourselves or our clients. Building construction techniques evolve rather slowly however the complexity of modern design and the need for speed have led to a revolution in the way design/construction drawings and other data is developed and shared between stakeholders. A BIM model rather than hard copy plans and sections may now be used as the contractual documentation. It is therefore vital that survey staff can extract necessary geometric data from the model, raise requests for informaton and update the model as and when necessary. 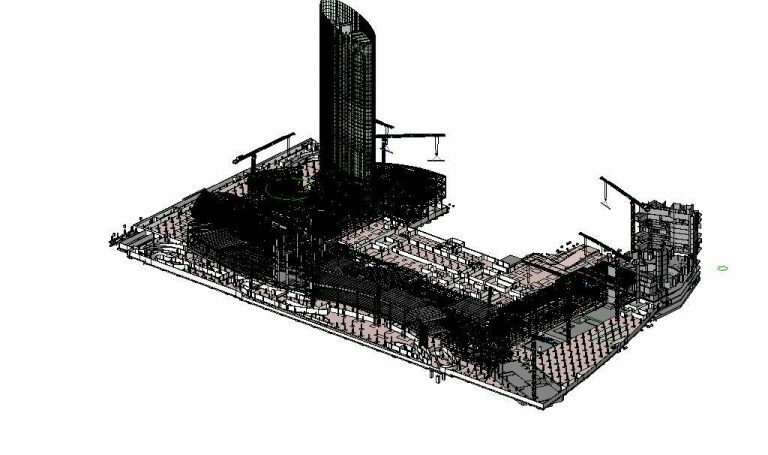 Together with being able to interact with the model it is important that our staff appreciate the 4D nature of BIM and to understand that the model may evolve throughout the construction process. BIM software can also be used to model temporary works, aid in planning and generate quantities. At ESL our aim is to use such software to it’s maximum benefit. BIM is also commonly used in refurbishments projects where the interaction of laser scanning and BIM is especially powerful. 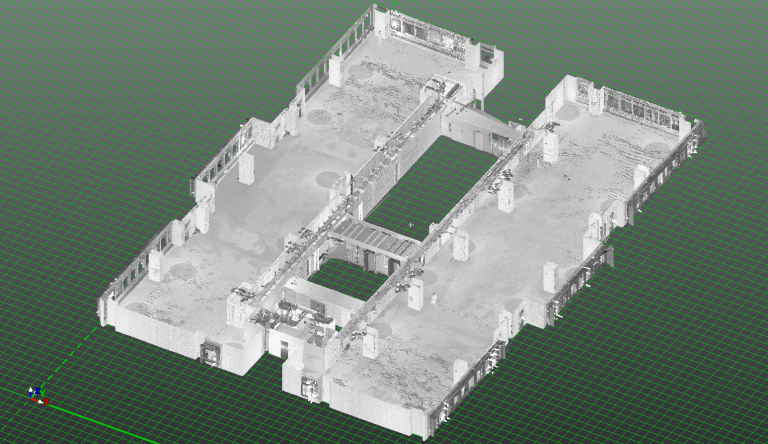 A laser scan followed by BIM modelling of a retail space is very quick and allows detailed design to proceed quickly. Surveyors involved in building construction need to be familiar with BIM and have the ability to extract geometric data for use in site setting out. The presentation of as-built data in the BIM format is also fundamental to the sharing of data both upstream and downstream in the BIM process.